Gakuen Alice is the story of ten year old Mikan Sakura, a ten year old clumsy girl who is full of energy. 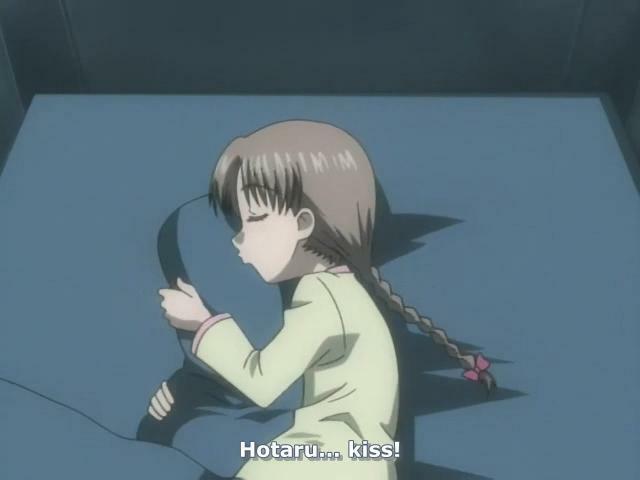 Her best friend is a quiet, near emotionless girl named Hotaru who has a knack for inventing strange gadgets. When Mikan finds out that Hotaru will be transferring to a far-off school without even telling her, Mikan sets off on a journey to find her friend, which takes her to the steps of the Alice Academy, a school for children who have unusual supernatural powers, the status of which is kept secret from the world outside the academy. This show is incredible. And not in a deep, thought provoking way. It's downright ridiculous. The relationship between Mikan and Hotaru in particular is one of the most slapstick tsundere pieces of absurdity I have ever seen. You think they're about to have a touching moment and then out comes a spring loaded boxing glove. The yuri is strong with this one. The show itself is actually pretty interesting, what with the various powers and how they work. It's the kind of thing where it would be very easy to make a fan character of. Gakuen Alice is 26 episode anime based on a manga. The manga not only extends faaar beyond the events of the anime, and features several differences (such as the antagonists) but also gets considerably darker at times. I haven't had much interest in reading it since I much prefer the heartwarming absurdity of the anime.